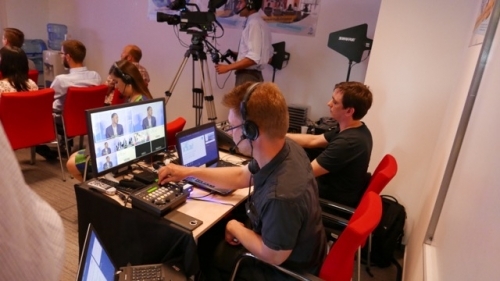 Webcast in Bratislava: Camera Crew Germany. 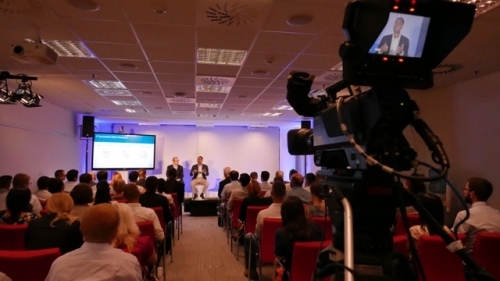 We had the pleasure of facilitating AT&T’s first live international Webcast from their facility in the beautiful city of Bratislava. We had a mixed crew from our production partners based both Vienna and Cologne, Germany. A lot of logistics and even more cabling but at the end of the day we had a very satisfied customer!